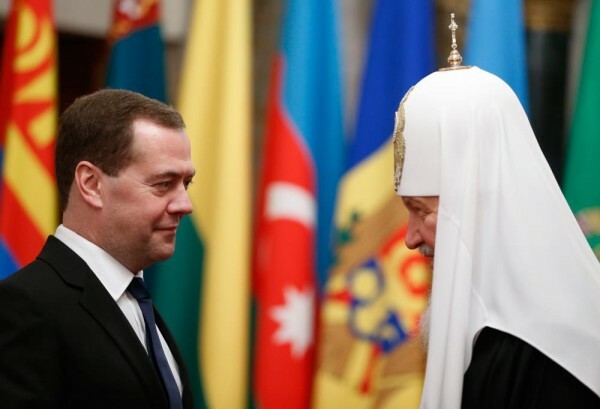 His Holiness Patriarch Kirill of Moscow and All Russia congratulated Mr. Dmitry Medvedev, Chairman of the Government of the Russian Federation, on his 50th birthday. The text of the message is given below. Please accept my heartfelt greetings with this memorable date – your 50th birthday. This particular jubilee is traditionally considered to be a special age; reaching it, people have considerable knowledge of life, energy, and reasonableness. You have reached this age, having gained a unique experience in governance at high positions of President and Chairman of the Government of the Russian Federation. Being notable for your professional competence and responsibility, you strive to achieve your goals, performing manifold and difficult service for the benefit of the homeland. It is gratifying to note your attention to various initiatives of the Russian Orthodox Church and to the preservation of spiritual, historical and cultural heritage of our country. I particularly appreciate the active support you render to the dialogue between the state and the Church. In the hope of continuing our fruitful cooperation, I wish you good health, peace in your soul, and new good endeavours for the benefit of Russia. May the Merciful Lord bless you and your family.